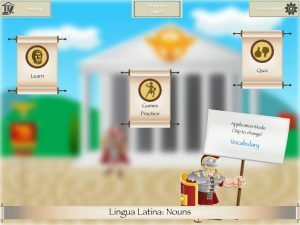 Lingua Latina Nouns iOS App (in iTunes https://itunes.apple.com/us/app/lingua-latina-nouns/id934996175?ls=1&mt=8) helps students learn Latin nouns (Learn), practice them through 5 different games (Practice), and finally lets students take the test and see how much of Latin they acquired (Quiz). A student chooses whether he wishes to learn/practice the meaning of nouns (Vocabulary) or grammar (Gender or Declension). 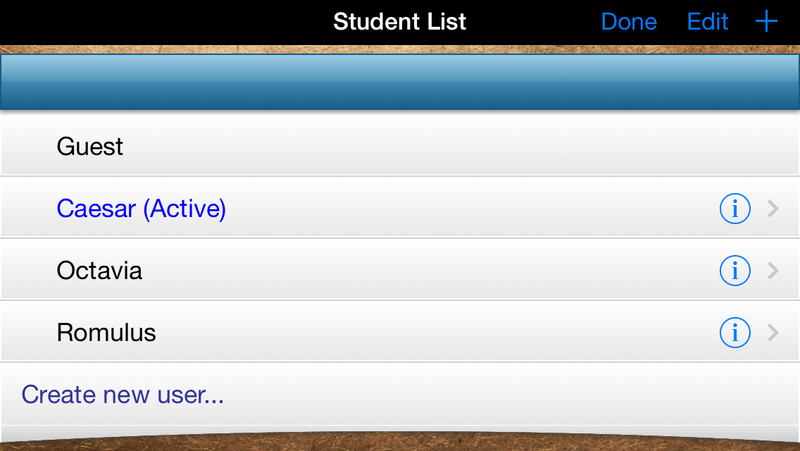 You can customize the content to meet your students’ needs. Number of Questions in Quiz. 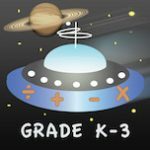 If you wish to track your students’ progress, it is a good idea to assign each student his ID name, number, or a nickname. On the home screen of the app you can tap the upper mid button on the screen to reach the personalization section. Each student can use his personal name or any Latin name he chooses for himself. 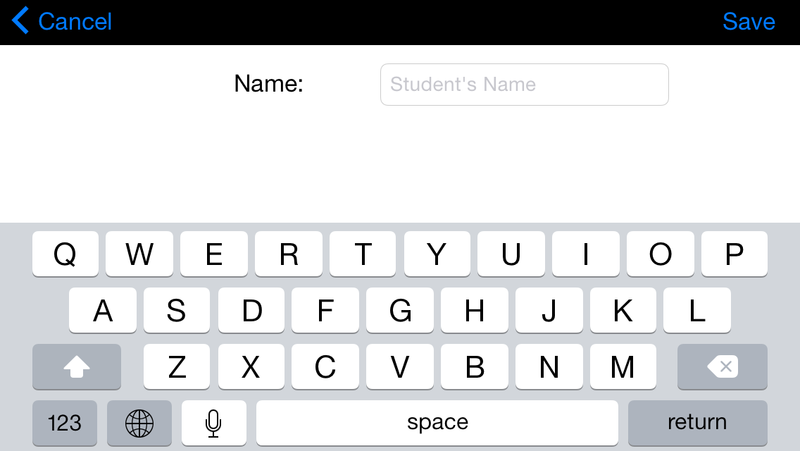 Whatever you choose to put as student’s name, it will stay on your device and will not be sent to anyone. You can choose which one of the above you wish your students to learn/practice per lesson. There is a button “Application Mode (Tap to Change)” on the right hand side of the app’s home screen. Words “gender”, “declension”, “vocabulary” on this button will change with every tap. Lingua Latina Nouns consists of three major sections. You can choose this section from the app’s home screen. The task is given on the scroll on the top of the screen. Tap the Latin words written on smaller scroll below. Correctly tapped scrolls will roll in immediately, and the hand with thumb sticking out will move so the thumb is pointed up. The incorrectly tapped scroll will not roll in and a ‘beep’ sound will be heard. The thumb up will not be shown. 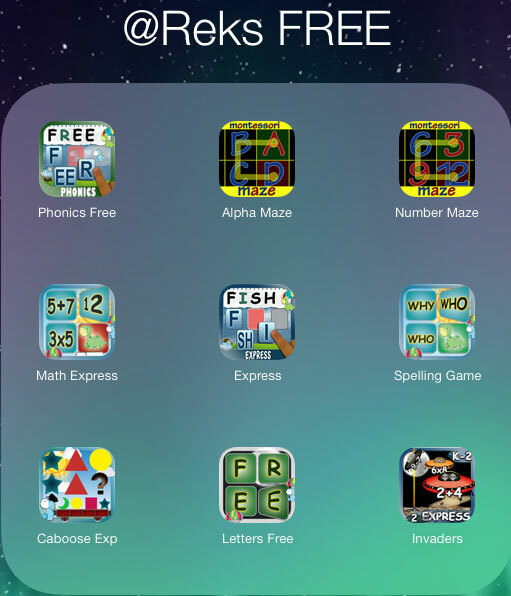 There are a number of options you can make for this section to make it more beneficial for your students. To see all the options available go to SETTINGS (“Press&Hold” button on the home screen). Memoria Ludum is a classic memory game in which players are expected to match pair of identical cards. The cards contain Latin nouns. 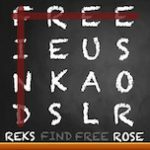 Each set has several pairs of words randomly chosen. Gender: masculine, feminine, neuter or common is written on the top of the bridge and the student should recognize the Latin words belonging to the particular gender. Declension: I, II, III, IV, V or Indeclinable is written on the top of the bridge and the student should recognize the Latin words belonging to the particular declension. 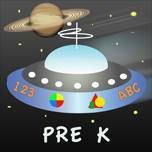 Vocabulary – English translation is given, and the student should recognize the corresponding Latin word. So, a student can be expected to find all the words belonging to Declension III if “III” is written on the top of the bridge. 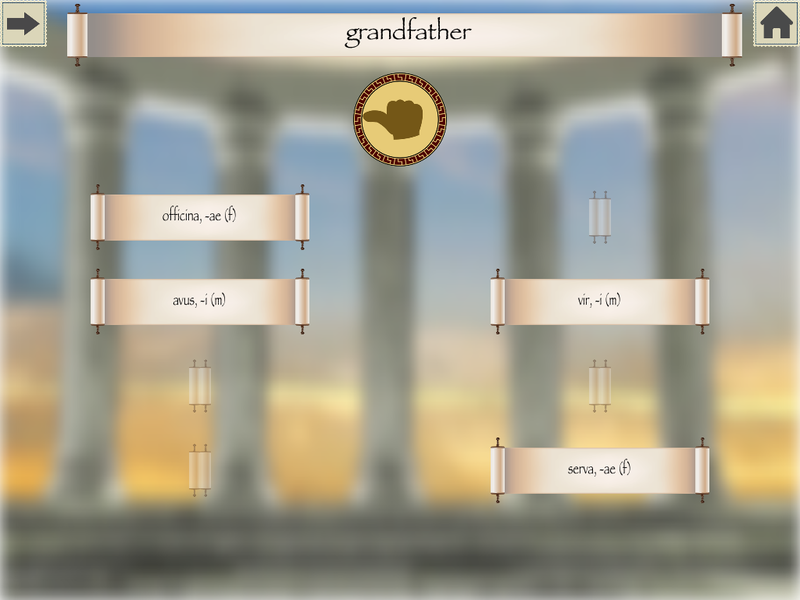 In this case the student taps all the words written on chariots belonging to Declension III. Or a student can be expected recognize all the words of feminine gender if “feminine” is written on the top of the bridge. In this case the student taps all the words of feminine gender written on chariots. 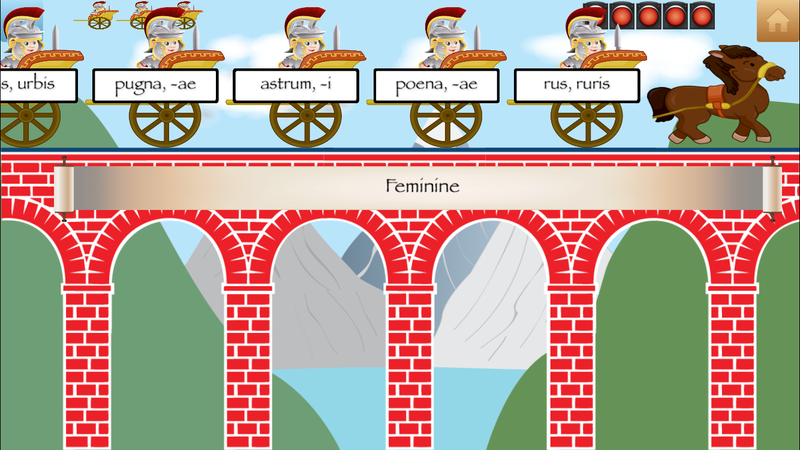 If the meaning (vocabulary) is the focus, English translation is written on the top of the bridge and the student is expected to tap the corresponding Latin word written on chariots crossing the bridge. 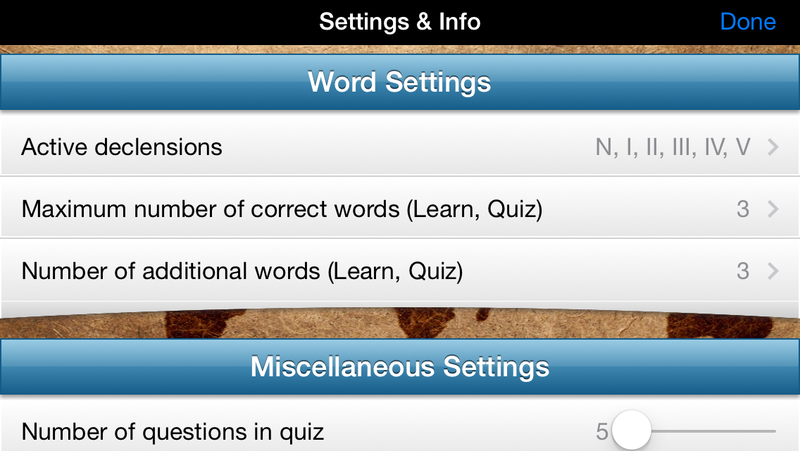 You choose Gender, Declension or Vocabulary on the home screen of the app. Gender: masculine, feminine, neuter or common is written on the scroll and the student should recognize the Latin words belonging to the particular gender. 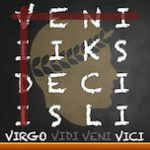 Declension: I, II, III, IV, V or Indeclinable is written on the scroll and the student should recognize the Latin words belonging to the particular declension. 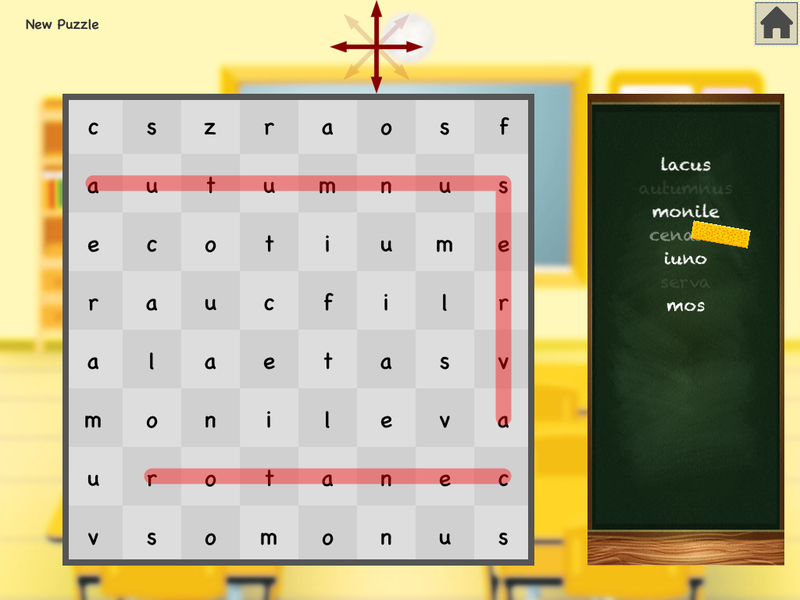 Aenigma Verbi is a word search game. A student is given a list of words on the right side of the screen. The task is to look for each word on a board filled with letters. The letters that spell the particular word need to be connected in the right order. Nere Rota is a Spinning Wheel game that represents a less controlled activity for students to practice. The spinning wheel can have declension numbers written on its surface or words for masculine, feminine, neuter or common gender. In either case, a student spins the wheel and waits for it to stop. 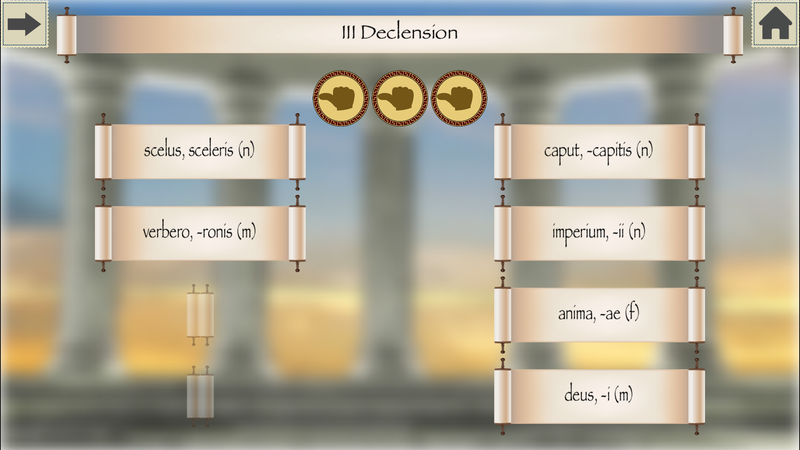 If the declension was chosen on the home screen of the app, the spinning wheel will show a Roman numeral representing a specific declension. In this case, the student is expected to come up with all the words belonging to this declension, and/or decline a word following the rules of the particular declension. 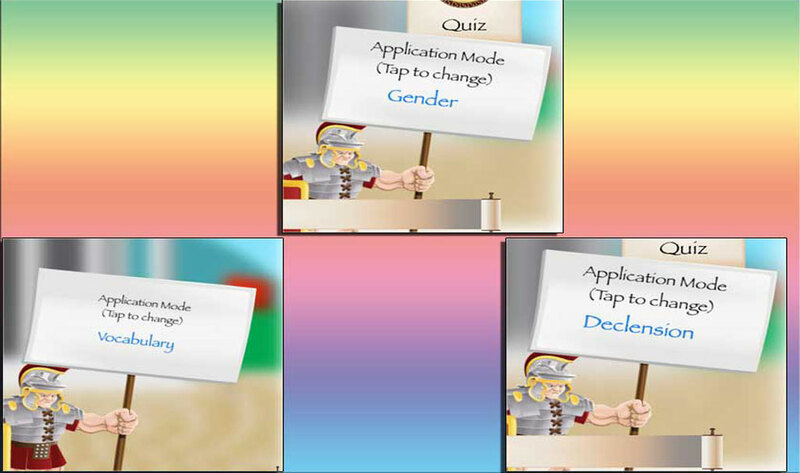 If the gender was chosen on the home screen of the app, the spinning wheel will show masculine, feminine, neuter or common gender. In this case the student is expected to come up with all the words belonging to this gender. 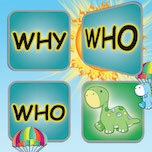 Quiz section is designed to check students’ progress and emphasize which areas need to be revised. Students are given a task in the central upper part of the screen on a scroll. The students should tap the scroll with the correct Latin noun on it. 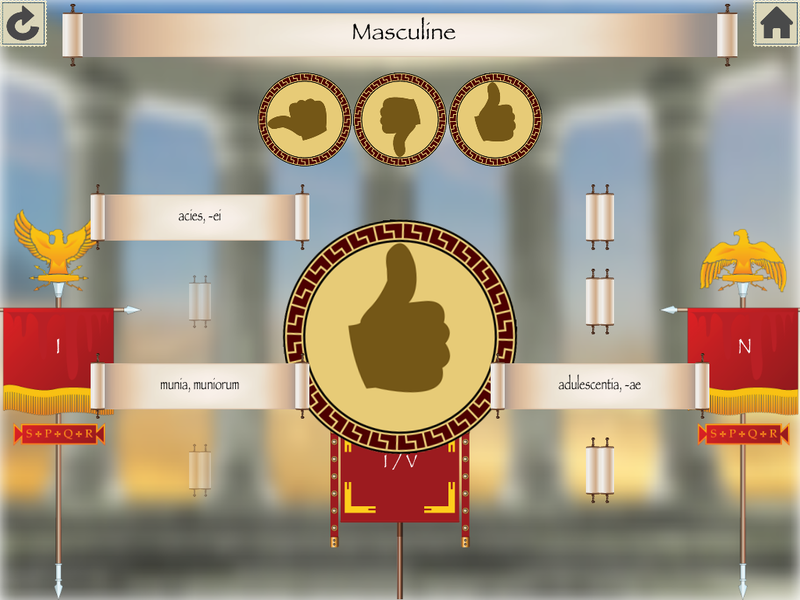 If the correct Latin word is chosen, applause is heard and the thumb up is shown. If the incorrect Latin noun is chosen, a “swish” sound is heard and the thumb down is shown. The number of correctly answered questions is given in Roman numerals on the left-hand side of the screen on a red flag. The number of incorrectly answered questions is given in Roman numerals on the right-hand side of the screen on a red flag. 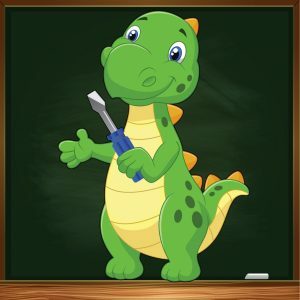 The Quiz section can be optimized to meet your students’ needs. To do that go to Settings of the app – tap the “Press&Hold” button on the home screen of the app. A number of options are offered in the Settings part of the app in order to customize app’s content to meet your students’ needs. To go to Settings tap and hold the ‘Press&Hold’ button in the upper right corner of the home screen. the Roman numerals I through V stand for appropriate Latin declensions, N stands for Indeclinable nouns. Tap the number (i.e. declension I through V, including N) you wish to learn and/or practice. You can learn/practice them all, or only one. You cannot have all options unchecked (unselected, deselected). 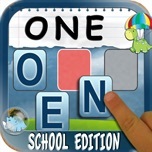 You can choose the number of words (1 through 3) you need to tap to provide a correct answer. This choice will be reflected in both Learn and Quiz Modes. You can also choose the number of extra words (0 through 5) serving as decoy. These words, if tapped, represent an incorrect answer. 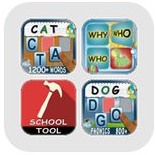 Selecting the additional words will influence Learn and Quiz Modes. The Quiz Mode can ask 5, 10, 15, 20 or 25 questions per session. Here you can choose how many questions you would like in the Quiz Mode by moving the slider left-right. Background music volume can be readjusted. By moving the slider to the left the music is set to MUTE. 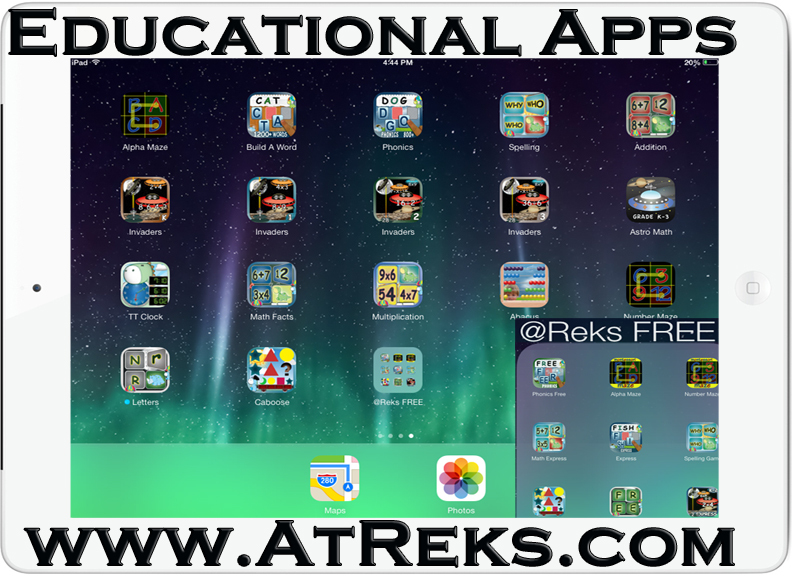 Special effects volume can also be readjusted by moving the slider left-right. If the slider is moved to the utmost left, the sound of special effects will be set to MUTE. Memoria Ludum is a classic memory game in which players are expected to match pair of identical cards with Latin nouns on them. 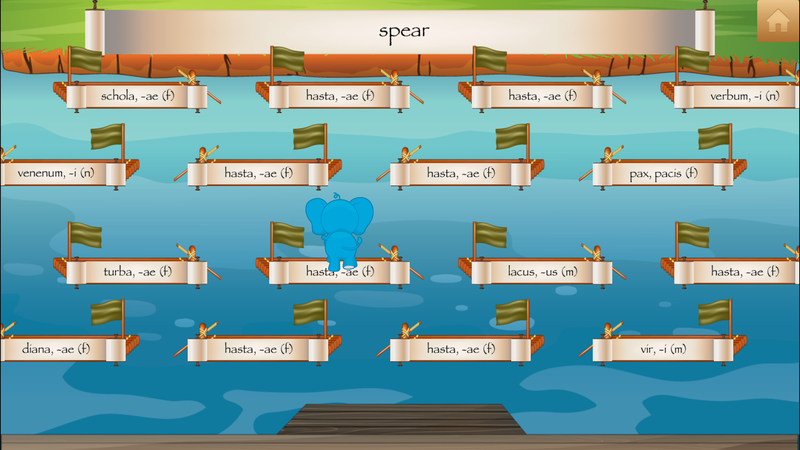 Lingua Latina Nouns iOS app offers several options to make this game meet your student’s needs. 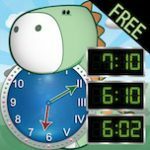 Choose how long you wish the game to last: 1 minute, 3 minutes, or unlimited number of minutes. Choose the number of card match pairs per game: 4 pairs, 6, or 8 pairs. 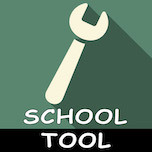 This feature gives students a chance to see the words as if through an X-Ray for a few seconds. You can choose how many times you can use this feature per game. Pontem Transitu (Bridge Crossing) is a fun game in which students are expected to match what is written on the bridge with Latin words that appear on chariots crossing the bridge. Tap the word that represents your choice. The extra chariot represents a chariot with an incorrect Latin word. You can choose how frequently you wish to see a chariot with an incorrect Latin word on it. The choices are: Low, Medium, or High Frequency. Tap the word (Low, Medium or High) that reflects your choice. The game can finish after you tap one, two … or five correct words. You get to choose after how many correct answers the game will finish. So, the choices are: 1, 2, 3, 4, 5. 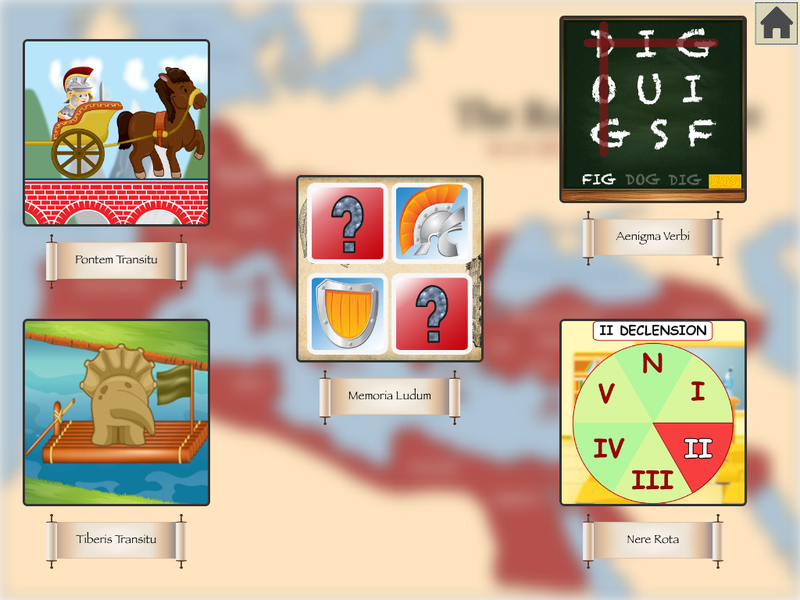 Tiberim Transitu (Crossing the River Tiber) is a practice game that lets you practice Latin grammar (gender or declension) or vocabulary. Student’s task is to tap an animal (elephant, monkey, or lion…) to help the animal jump onto a raft. Latin nouns are written on each raft. The task is given on the scroll on the top of the screen. So, the student is expected to tap he animal at the right for the animal to jump on the raft with the appropriate word. Tap the word that reflects your choice. Use the slider to choose the board size. Tap all the direction(s) that reflect your choice. Nere Rota is a Spinning Wheel game. 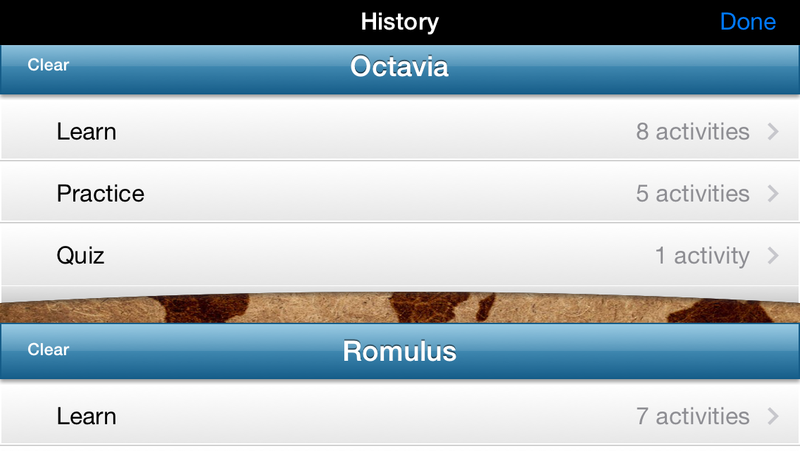 History section of the app can be reached from the home screen. It is located in the upper left corner of the screen. This section lets you track your students’ progress giving you information on activities used in the app in Learn, Practice and Quiz Modes per student. You can see the date and the listed Latin words learned, practiced, and/or the list of correctly/incorrectly answered words in the quiz.